Mittenwald – pure Upper Bavaria! 100 km south of Munich. Located at nearly 1000 m above ground in the gorges Upper Isar-Valley. all year round.Closely experience cultivated tradition and Bavarian life.Upper Bavaria at its best. 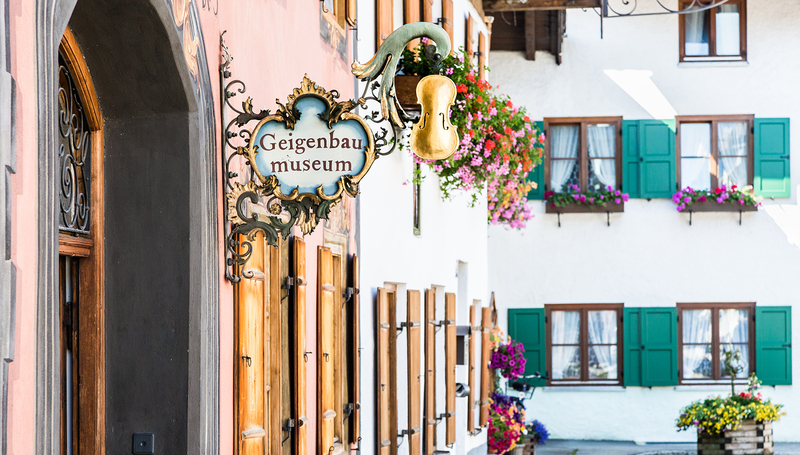 Mittenwald - one of the most beautiful and original mountain villages in the Alps. World famous for its violin makers history. Picturesque townscape dominated by alpine architecture including the famous „Lüftlmalerei“. Pure cultivated tradition all year round. breathtaking long, leisure walks or Alpine hikes inside Karwendel- and Wetterstein-mountains.